Mayor Cerino called the public hearing to order at 7:00 p.m. In attendance were Councilmembers David Foster, Linda C. Kuiper, Ellsworth Tolliver and Mauritz Stetson, W.S. Ingersoll (Town Manager), Jennifer Mulligan (Town Clerk) and guests. Mr. Ingersoll stated that there were no requests from anyone to see or read the ordinance. He said that a memo had been prepared for this public hearing outlining the changes from the existing ordinance to the latest State-required update. 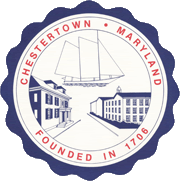 Mr. Ingersoll stated that there no properties in Chestertown had their designation changed by the revised Ordinance. Mr. Ingersoll stated that the Ordinance follows a simplified Ordinance template supplied by the Critical Area Commission; it does not substantively change the primary requirements contained in the earlier Ordinance adopted in 2007-08. The 2019 Critical Area Map does not deviate from earlier mapping except there is more accuracy and detail contained for things like wetland delineations. He said that it was important to note that the designations of properties IDAs (Intensely Developed Areas), LDAs (Limited Development Areas) and RCAs (Resource Conservation Areas) have not changed for any property due to remapping or the new State template. Mr. Ingersoll stated that the Critical Area law applied to all properties within 1,000 feet of the Chester River and/or Radcliffe Creek. He said that it was not likely there would be much more new development where the new Critical Area Ordinance would apply unless the Town annexed more waterfront areas. He said that the Armory was likely the last example of where this Ordinance would apply. The Ordinance also details what could be done in the buffer areas of developed lands. Mr. Ingersoll stated that the day-to-day routine for landscape maintenance work taking place in the Critical Areas is that a description of work to be submitted to the Town, including photographs, including a tree expert’s certification. A file is then kept on record of work in the Critical Area in Town Hall. Most tree maintenance approval involves dead, disease or dangerous trees or limbs. Mr. Stetson asked where property could be annexed in the future. Mr. Ingersoll stated that the Town could annex to the north or south, but he did not see it happening anytime soon. Mr. Andy Scott stated that Chester River Landing has Chester River Landscaping (Stormy Neff) perform work in the development’s buffer areas. He said that the residents have asked for trimming and spartina grasses to be planted and asked if he needed a permit for that work. Mr. Ingersoll stated that phragmites can be removed legally without a description of work to the Town. 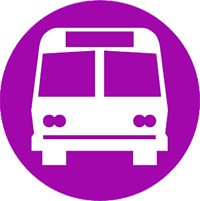 He added that he liked to have a record of any work done in the buffer for protection when there is a complaint or Critical Areas staff reviewal of activities in the buffer or Critical Area. There being no further comments or any questions, Mr. Foster moved to close the public hearing at 7:10 p.m., was seconded by Mr. Stetson and carried unanimously.